In order to answer your question: What is the best Forex Trading platform? Let’s take a look at a few aspects that make a good platform. When considering a trading platform as a beginning trader, cost is going to be a paramount consideration. Most Forex Traders start their first live accounts with $500 or less. It doesn’t make sense to be spending hundreds or thousands of dollars on a trading platform. In my personal experience as a trader, I have found the lowest cost possible is the way to go to start out. And there is no lower cost than FREE! If you think you can’t get a good platform for free, then you would be wrong. MetaQuotes has been leading the way for years in that category. 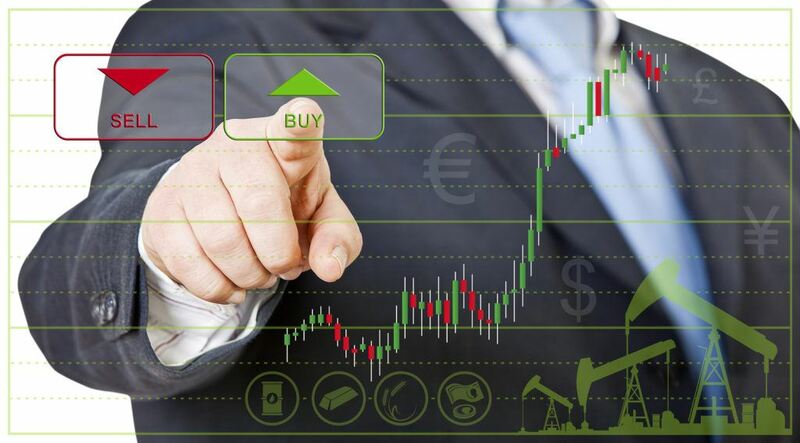 Brokers almost without exception, offer MetaTrader (MT4 or MT5) for free with signup for a demo or live accounts. That means as a new trader, you don’t have to consider starting costs for the platform. It is by far the most widely used software for traders, both amateur and professional, across the world. With ever increasing reliance on smart phones, there are also versions of the forex trading platform for your mobile phone. This means you can stay on top of your account wherever you are. How Much Does the Platform Offer You? Another consideration when it comes to the best forex trading platform is how much software, systems, tools, indicators etc. are most widely available? And in the greatest number for the platform? Once again, MT4 takes the lead here by a gigantic margin. There are more systems, indicators and expert advisors (automatic trading programs) designed for use on MT4 than any other platform. Each forex trading platform requires its own language. Therefore, there is no “universal” indicator or piece of software that will automatically work on all forex trading platforms. So when designers, and traders are looking to license products to the market, most choose to create their products for the most widely used. Henceforth the biggest market, which is the MetaTrader crowd. For a beginner trader, choosing between all the various options for software and tools available on MT4 can be very overwhelming. However, it is certainly not restrictive or limited. A great consideration when deciding what is the best forex trading platform for a new trader would obviously be ease of use. It can be argued that it probably takes the same amount of time to learn the basic functions of each forex trading platform. 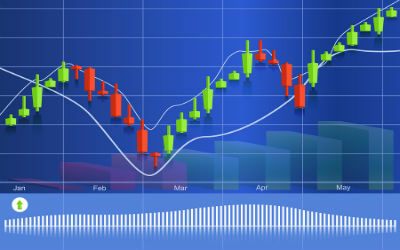 However, the fact that MT4 is designed to be used by the broadest range of skill levels and is widely used, it is very easy to find forex training videos on the platform. Thus, learning information on its usage is readily available. So, although there is no real way to say that MT4 is “so much easier” to learn than other trading platforms, it is safe to say that it’s much easier to find training information on how to use it. Because of that, I would say MT4 wins in this category too. So, if MT4 is so great, why the heck would there be other forex trading platforms out there? I’m glad you asked. With every great pro, there is a con lurking in the shadows, and MT4 comes with some of its own. First of all, prices shown on the charts can be much more easily manipulated through MT4. In most cases, you are seeing the market created by your broker. This means there are many tools they have on their end to manipulate the data you see on your screen, through MT4. High quality brokers present the market directly. However, it should be stated that MT4 is a commonly used vehicle for bad brokers to cheat their clients. They can widen spreads at their disposal when they see fit. They can actually change the prices on the screen to stop large numbers of people out. Also to prevent taking profits from being hit. Don’t let this scare you, this doesn’t mean that MT4 isn’t the best forex trading platform. It does however highlight the importance of choosing a high-quality broker. Another drawback to MT4 is the lack of more robust charting tools that some of the other platforms use. MT4 provides a nice array but is somewhat limited in the power of the charting tools it offers. Other platforms like NinjaTrader allow the trader to manipulate multiple charts at once. It allows you to “link” them together. This can be very helpful for applying a technical indicator like a trendline to multiple charts at once. Also, other platforms provide much more specialized charting options for more advanced technical analysis. On the whole, trendlines, fibs, horizontal s/r lines, EMAs and other basic charting tools, are really what most people use to chart. MT4 provides those. There is an increasing number of new types of forex trading platform which is web-based. One of the most common is www.tradingview.com, which is also free although you can purchase add-ons through subscription. It has extremely powerful charting functions. It also uses an open source language which means there is a whole host of people creating indicators for it. The beauty with the web-based is that you can access it from any PC with an Internet connection, therefore you don’t need to download and install MT4. As well as a whole host of indicators it also has some excellent risk management tools. However, the downside is that if you are in the EU you cannot trade directly from the platform, whereas in the US you can. f you particularly like the way one trader works you also have the option of following them and communicating with them. Conclusion: What Is the Best Forex Trading Platform? A clear-cut answer to “what is the best forex trading platform” is a bit elusive. I can say however, with a bit of confidence that for a trader just getting into the world of forex, MT4 is the clear winner. It’s free, offers a tremendous amount of software and tools, and it is designed to be used by virtually every broker. It is also easy to learn. If you change brokers or get a new broker, more than likely you will end up using MT4. There is homogeny there and it makes getting a new broker seem very comfortable since you will be using the same platform. Of course, the best way to know what’s right for you is to determine your needs, wants and what you can afford to spend on a platform. Then try several. I personally would recommend giving www.tradingview.com a go, and don’t be afraid to sign up to different brokers to try an increasing number of in-house platforms that brokers are developing. Some have even taken MT4 and customised the look and feel as well as added their own proprietary tools. The truth is, the best forex trading platform is the platform you feel most comfortable with, but MT4 is certainly a good all-rounder when it comes to starting out in forex trading.